Heavier weight V neck jersey in our all natural Possum / Merino / Silk blend. Range of colours and sizes. Zip front jacket in our blend of Possum / Merino / Silk with leather collar and pocket trim. Crew neck Purl knitted striped jersey. Lighter weight in our blend of Possum / Merino / Silk. 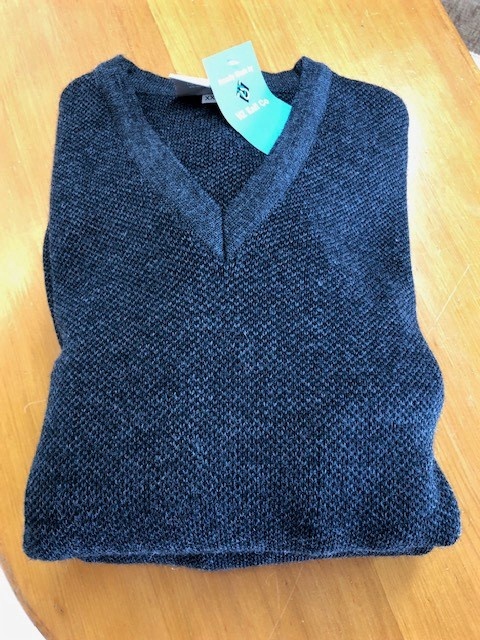 Woollen jersey in black with grey fleck. A smart casual option in wool / nylon. A modern two tone colour take on a classic men's jersey. Available in a variety of colourways.